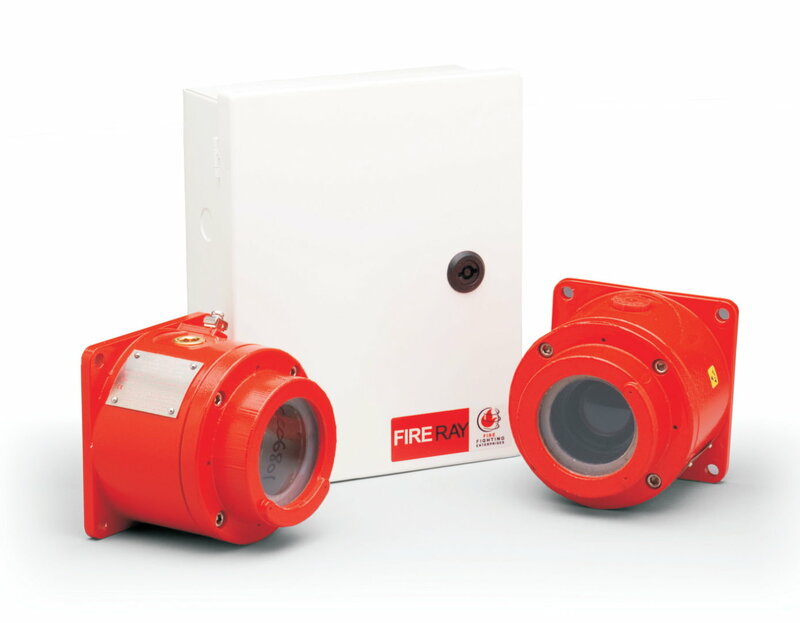 Fire Projects Supply, install, test and commission Fireray 2000 EExd - Explosion Proof Optical Beam Smoke Detector is ideally suited to protect large areas with potentially explosive atmospheres, protection against smoking fires can provided by this beam. The Fireray 2000 EExd is ideally suited to protect large areas with potentially explosive atmospheres, protection against smoking fires can e provided by this beam. Fireray 2000 EExd includes an infrared transmitter and a receiver, both of which are ATEX-certified for use in Group 2 hazardous areas. There is a separate, safe area, wall mounted remote low level control unit to allow adjustment and testing from a convenient non-hazardous location. Fireray 2000 EExd includes an infrared transmitter and a receiver, both of which are ATEX-certified for use in Group 2 hazardous areas. There is a separate, safe area, wall mounted remote low level control unit to allow adjustment and testing from a convenient non-hazardous location. If smoke is present in the Fireray 2000 EExd's path, the received signal is reduce by a level determined by the density of the smoke. If smoke reduces the signal strength to between the obscuration threshold and 93% for approximately 10 seconds, the fire alarm relay is activated. Fire Projects configure alarm threhold of Fireray 2000 EExd to 25%, 35% or 50% to suit the installation and depending application. The projected beam type smoke detector shall be a 4-wire 12/24 VDC device to be used with nationally recognized testing laboratory's listed separately supplied 4-wire control panel. Fire Projects supply the unit and it consist of an integrated transmitter and receiver. The detector shall operate between the range of 33ft to 330ft (10m to 100m). Fireray 2000 an explosion proof beam detector shall feature automatic gain control and will compensate for gradual signal deterioration from dirt accumulation on the lens. The beam detector shall be ATEX certified, and comply with EN54:12 and meet EExd IIB T6 temperature range requirements. The unit shall include one wall mount alignment bracket. Testing shall be carried out by using calibration test filter. Select Fire Projects for new implementation of Fireray 2000 EExd - and explosion proof beam smoke detector for advance level smoke detection and it is cost effective way for modern building, heritage sites with ornate ceiling. We support our clients from Designing up to Commissioning up to AMC. We also provide AMC–Annual Maintenance Contracts for all types of Fire & security Systems. Contact Fire Projects today to schedule your appointment with Fire Projects, make call on +91 9409535460.